40$ frankies red 6ft+ tall and ready to go. 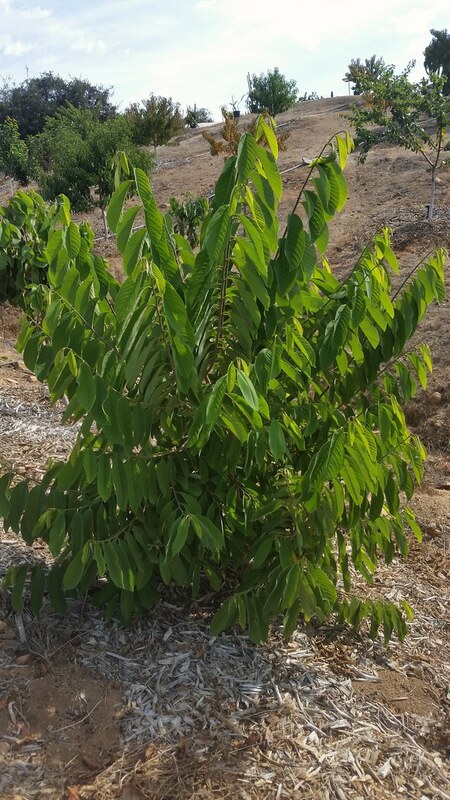 I planted a couple of these, this is an extra if anyone in San Diego area wants it. I can chop it into cuttings and send also if someone not local wants it. Have lots of pots if anyone needs any. 2g, 5g, 15g, 2.7g tall pots, some other random sizes. 25$ minimum purchase please. PM to setup a time to meet. I had an extra one of these if anyone local wants it for 25$ Just planted one on a support yesterday. 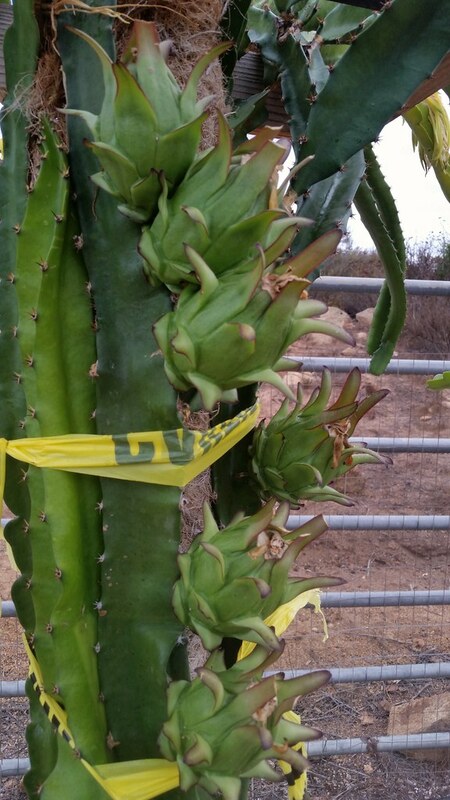 Its 5ft tall and should produce fruit this year if you get it set up on a support. The plant is pretty vigorous. 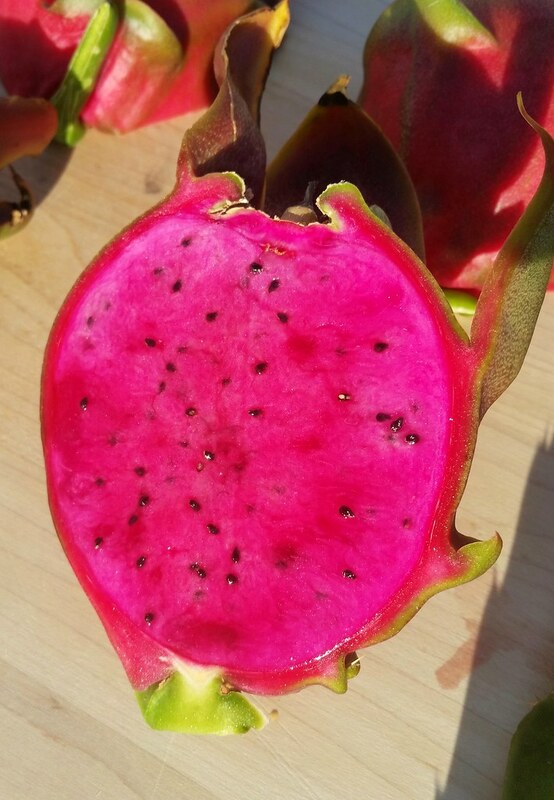 I haven't tried it but there was a report on here from a few years ago that it has a brix of 23 which is as high as any dragonfruit. And the fruits are pretty large and flowers are purple. Seems like a great DF to grow. Its one of Edgar's rosses. 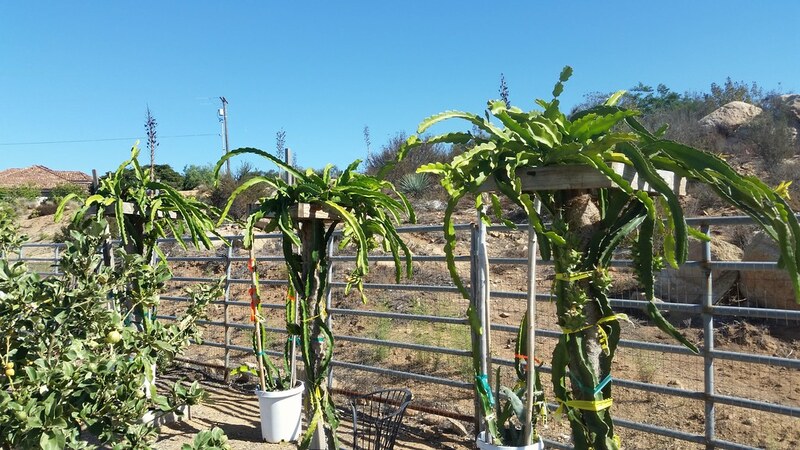 These are all in a greenhouse and actively growing. Not stalled out and damaged from being outside in the cold weather. 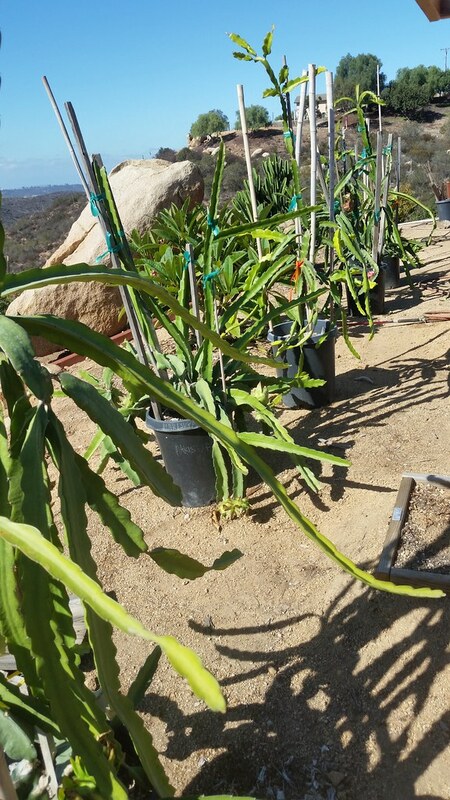 These cuttings are full of energy. Tropical Fruit Discussion / Loquat grafting, when? Can I do it now or is it better to wait for warmer weather? The trees are flushing and in a fairly vigorous state right now. Im looking to graft wood from one tree onto another then remove one tree. Does the wood need to be hardened off to use as scions? I posted in the temperate sale section with no response. Just posting it here in case people are interested but missed it. Im planning to prune my trees this weekend. Have all kinds of low chill peach, nectarine, plum, apricots, cherry, and interspecifics. Send me a message before the weekend if you want scions. Tropical Fruit Discussion / Panama red passiflora? Is this it? Doesnt look like edulis and other descriptions show red shell and yellow seeds. Peach, plum, apricots, nectarines, interspecifics, cherry... All are low chill types 300hrs or less. 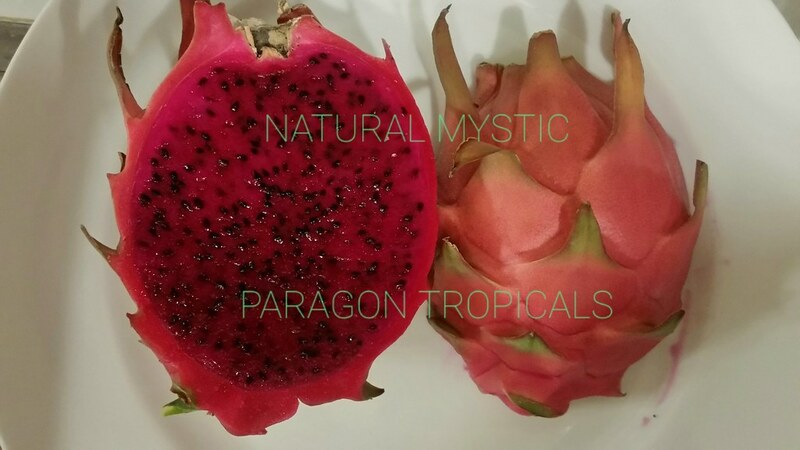 I have many more types of stone fruit, send a PM if there is something you want. Anyone know what this tree is? It was given to me but I forgot what it is. Was expecting red flowers but its not the tree I though it was. Rudy#20 (large round smooth fruit, very balanced flavor with very high brix). Someone asked me to save these for them but never heard back from them. If anyone wants them you can pay postage and they are yours. Otherwise, theh are going in the compost. 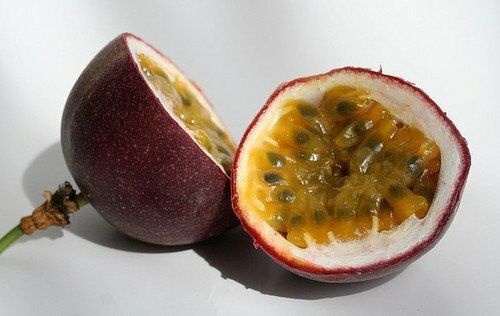 I have a lot of edulis passionfruits if anyone would like a box. 30$ shipped to your doorstep medium flat rate box packed full. 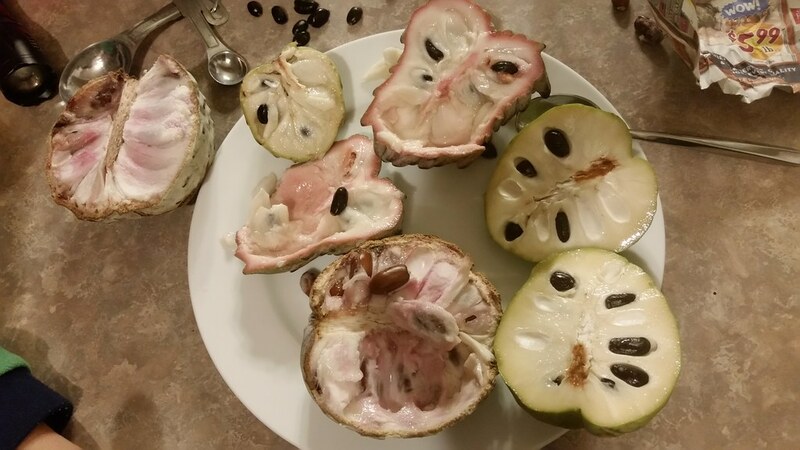 Got to try some llama, atemoya, sugar apple?, and cherimoya. Have only had cherimoyas in the past. The others were not even in the same league as the cherimoya. Was going to grow some llamas and atemoyas but not now. Tropical Fruit Discussion / Pug a persimmon? Can I pug a persimmon tree or will it kill it? The tree is too tall and top heavy. 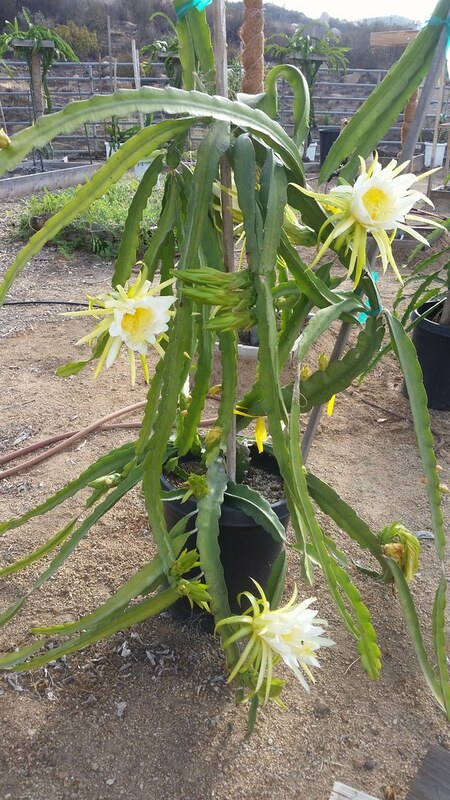 Ive got a couple of them that are pretty large but they never flower. Whats the deal? Strawberry guavas planted the same time are loaded. Is there something they need? They are growing well but no flower. 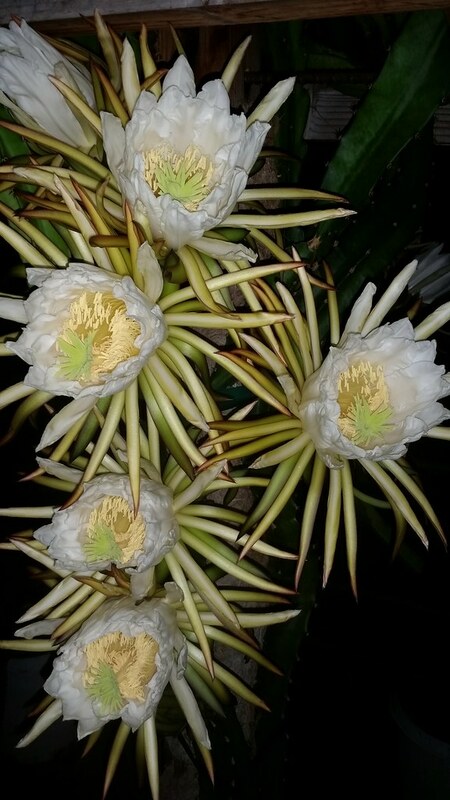 One may have flowered but no fruit. 30$ for a medium flat rate box filled with them shipped to your doorstep priority mail usps. These are very large fredricks. Around 18+ will fit in a box. The plants are in a tray and will be seperated and sent with root mass in a bag or in a small pot. 8$ west coast shipping. 12$ to FL and PR. 4$ per pound plus shipping. Shipping will be calculated when you tell me your address. Priority mail 2-3 day. They are purple and red types. Brix isnt super high on these since its late in the year but they are still very enjoyable. My family eats half a dozen or so a day. 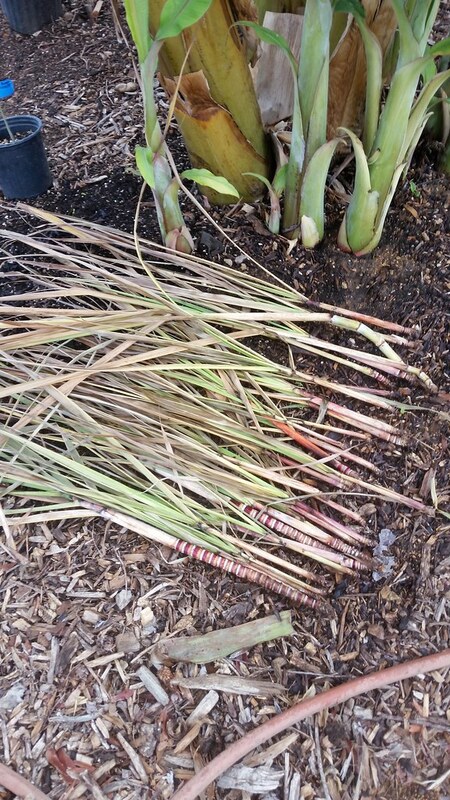 San Diego Yellow sugar cane and asian black sugar can starter plants. 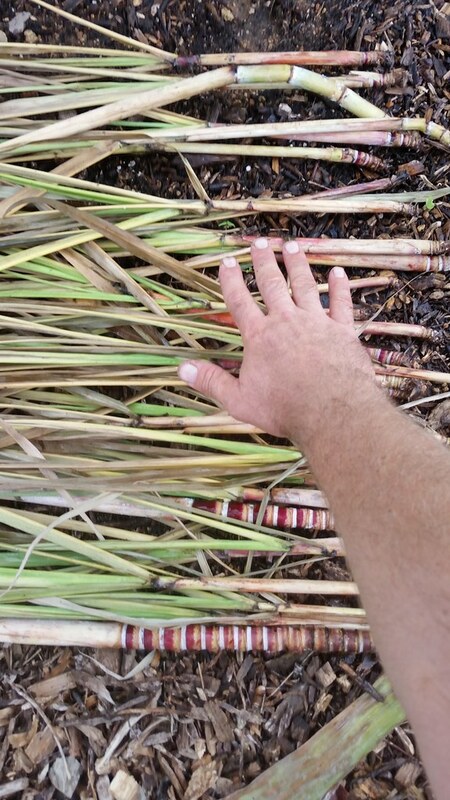 This is Simons top 2 sugar cane varieties out of a large collection of types he had growing at his house. These are the varieties we are mass planting on our farm and these are the leftovers after planting here. Shipping is 9$ in CA, 13$ for rest of country. 8$ per long 18" cutting. 12$ for bruni and simons purple. Shipping cost depends on location, can calculate it for you upon request. Should I prune it or just let it go like this? I really dont care if it gets really large. It set fruit on its own (no need to reach flowers) and I have a fruit picker pole. What do you think? Im thinking just get it up off the ground more than mess with the top. Have 2 extra scions cut just a few minutes ago leftover from grafting trees this morning. 15$ shipped. Need to send out tomorrow. These were prepped a week ago and allowed to bud swell and this is wood meant for my own use in really perfect shape to graft. Just had more pieces than I needed. Rather not throw them away. I have other avocado scions also if you want other types just send me a message. 7$ for small flat rate box or 4$ for padded envelope. These are pencil size or larger, wrapped in parafilm. Not toothpick scions some people are selling. 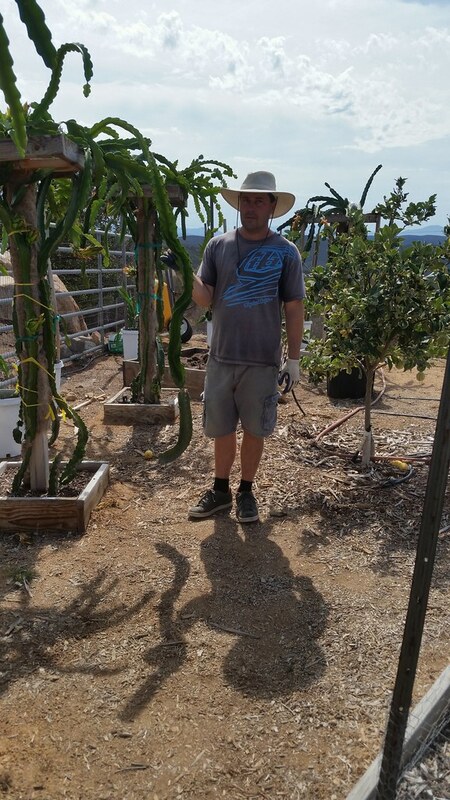 I have a few grafted cherimoya trees available for mail order also for 20$. 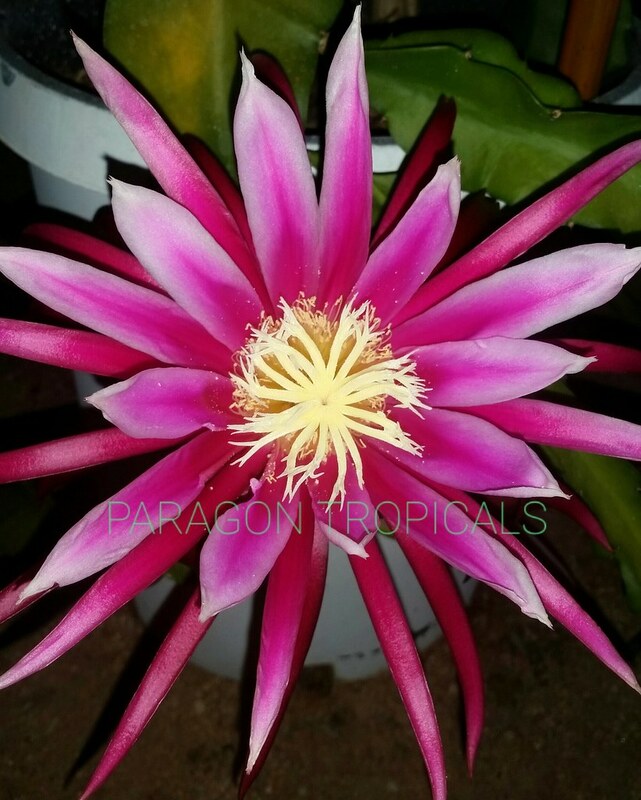 They are small recently grafted.